I recently had a Pinterest Party at my house and I made these cute little boxes for my neighbors. Most everything on these boxes are retired Stampin’ Up products that I just happen to LOVE! I hoard them for special occasions like this. There is a great tutorial from Splitcoaststampers that I found on making these boxes here. 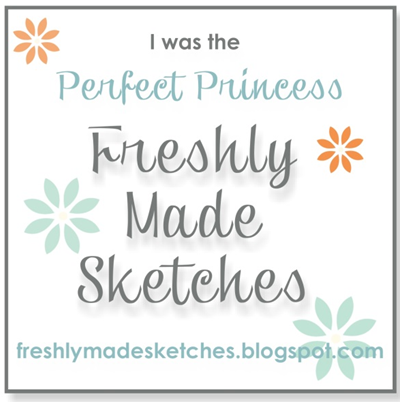 These are simple enough to make and then you get to do the fun stuff, DECORATE! 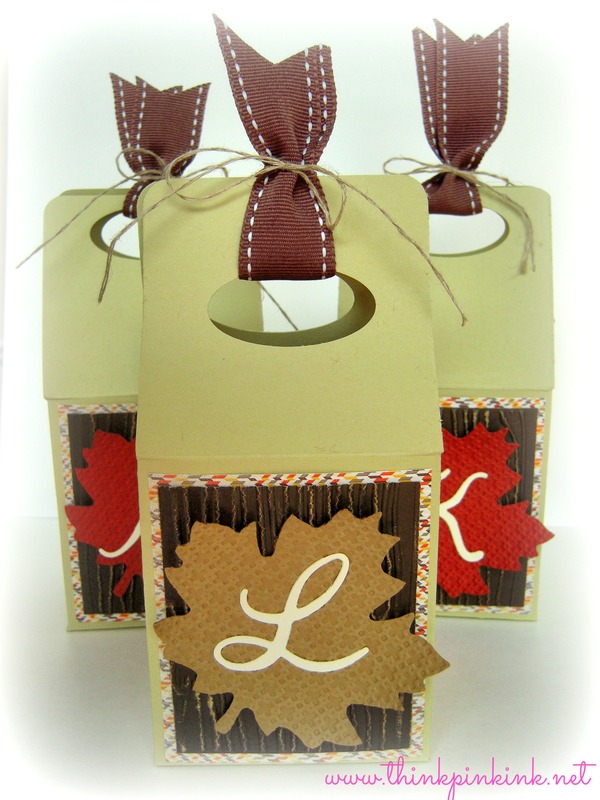 The leaves on the boxes are from the Autumn Accents Die that is still current. 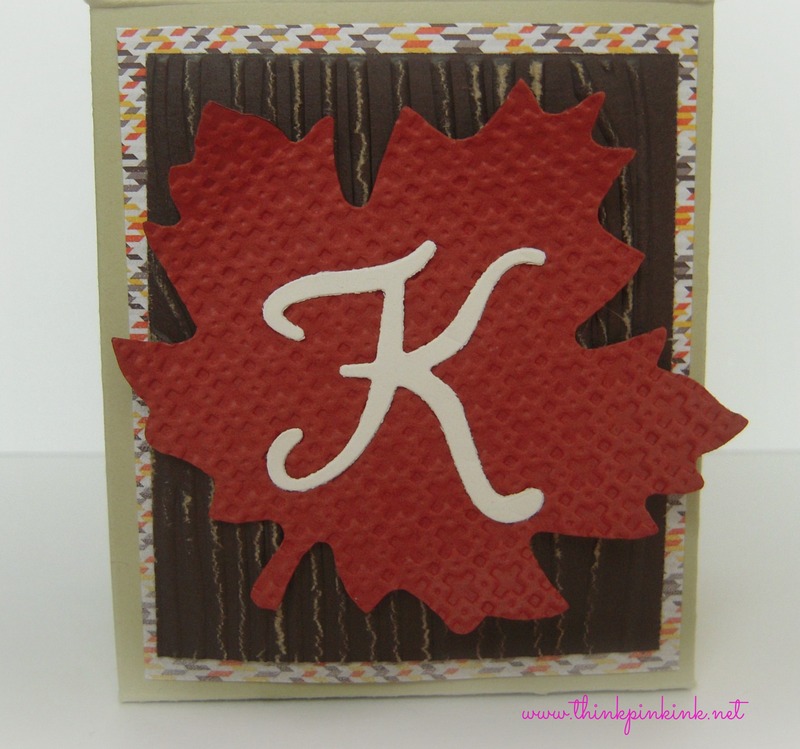 I ran the leaves through the Big Shot using the lattice embossing folder giving it some nice texture. And how about that great texture on the core’dinations paper?! 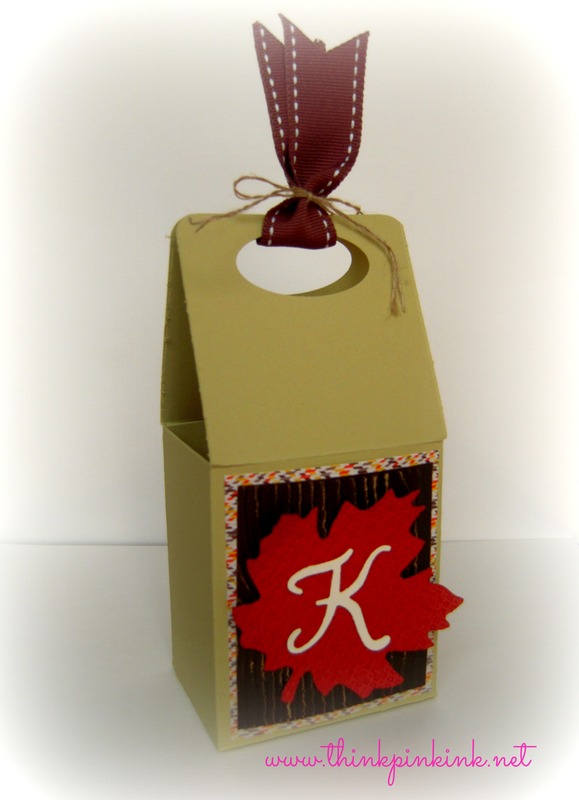 Tagged Autumn Accents, Gable Box, Linen Thread, Stampin' Up!